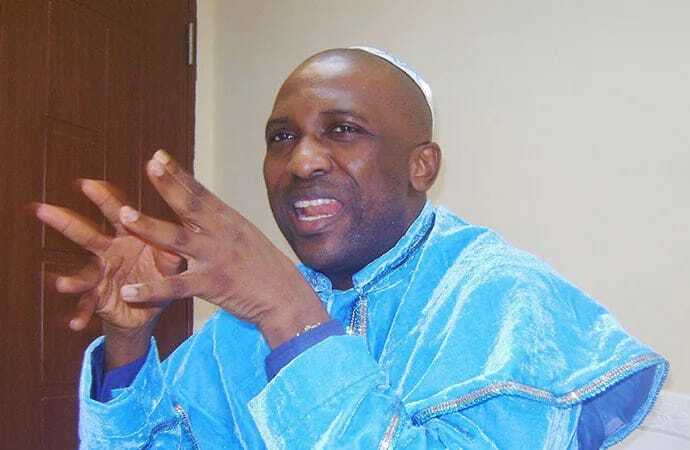 Leader of the Inri Evangelical Spiritual Church, Primate Ayodele Elijah Babatunde, has handed out a 21-day ultimatum to the candidate of the People’s Democratic Party (PDP), Atiku Abubakar, and his running mate, Peter Obi to do three things within 21 days for them to win the presidential poll. This is coming barely hours after he spoke to our correspondent also concerning the 2019 polls. He said if his words were neglected, President Muhammadu Buhari would simply coast home to a resounding victory. “They must fortify their party with Senate President, Bukola Saraki, becoming a major factor in the process; they must work on other techniques germane in winning; they must seriously go spiritual. “The All Progressives Congress is very, very spiritual and needs a superior match to upstage (it),” he said. “Atiku and Obi have bright chances but they have between Friday 21 and January 3, to determine if they will win or not, otherwise Buhari will return. Speaking further on the gubernatorial polls he said: “APC is very spiritual, the PDP should note this and work on it. “APC will take Kaduna, Kano, Gombe, Jigawa, and Nasarawa, but they won’t take Niger and Adamawa. The poll in Oyo will be between ADC and PDP. “Governor Amosun should not underestimate Dapo Abiodun as he will shake the state. Dapo Abiodun should also beware of Amosun’s candidate. Akpabio is so desirous to win Akwa Ibom for the presidency. PDP should note this and work more. “Governor Wike will not have it easy winning a second time. He should note this. Two governors will betray Atiku in his ambition. Emmanuel Udom must also strategise if he wants to win. If APC is not very careful, they will lose Zamfara polls. While advising the Presidency on insecurity, he said: “The president must tackle the challenge of armed bandits very well; he should not overlook it. The IGP will go this year. INEC will be taken to court over election results. “If APC wins, Buhari will be the party’s last president. There will be serious crisis between Oshiomole and Buhari’s loyalists. Oshiomole will have problems after the presidential polls. “In 2023, the presidency won’t go to the South West; it shall be between the North and South East but the South East must be smarter than everybody. He gave further predictions, saying: “Let us pray against the death of a sitting president in the world, and plane crashes that will involve eminent personalities. There will be turbulence in the aviation sector but a Nigerian plane will escape a crash. “There will still be more job losses this year especially among some new-generation banks. Political parties will clash seriously; they will stone one another and even kill. “Kidnapping and other vices will be rampant. “There will be ethnic clashes in the South-South. “There will be indictment against Atiku and also Buhari. “Let us pray against accidents during the campaign across the nation. “APC must work very hard in Edo less PDP will upstage the party. PDP will win in Kwara. Governor El Rufai will have it very hard getting a second term,” he said.